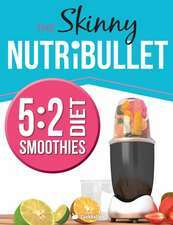 The Skinny Nutribullet Slimming Smoothies Recipe Book: Delicious & Nutritious Calorie Counted Smoothies to Help You Lose Weight & Feel Great! 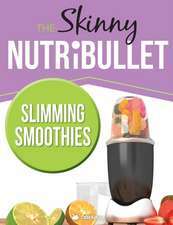 The Skinny Nutribullet Super Green Smoothies Recipe Book: Delicious & Nutritious Green Smoothies for Healthy Living & Detox. The Skinny 5: Recipes & Meal Planners Under 100, 200 & 300 Calories. Get Ready for Summer & Lose Weight..